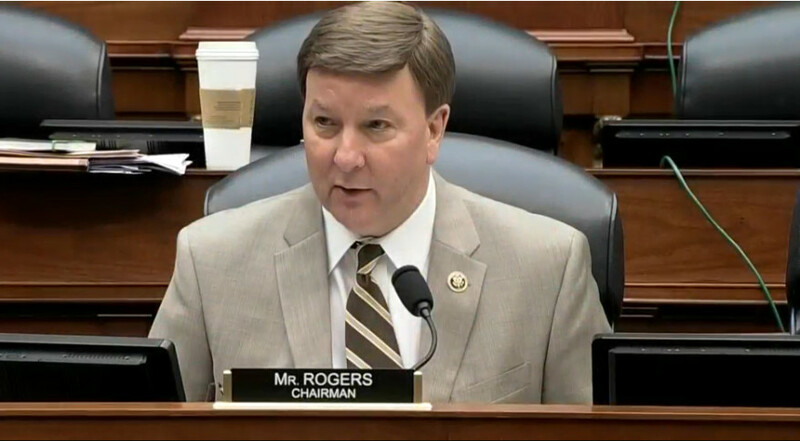 Rep. Mike Rogers (R-Alabama), chairman of the House Armed Services Strategic Forces Subcommittee, has repeatedly advocated for the Air Force to start setting up a separate service for space operations. Credit: C-SPAN. As the House Armed Services Committee prepares to vote on the National Defense Authorization Act (NDAA), the strategic forces subcommittee — which oversees military space matters — released its proposed additions to the bill. The subcommittee has scheduled a formal legislative mark-up session for its portions of the bill on Thursday. The Space Corp would be led by its own chief, who would sit on the Joint Chiefs of Staff with a six-year term, the bill says. It would be a position equal to the Chief of Staff of the Air Force, and would answer to the Secretary of the Air Force. The subcommittee’s markup of the bill would also set up a U.S. Space Command that would be a sub-unified command under U.S. Strategic Command, a move lawmakers hope would improve the integration of space operations in warfighting. The subcommittee’s action on the NDAA is one of the early steps in a lengthy legislative process. The bill would still need to get approval from the full committee before it could be debated by the House, but the chamber isn’t expected to vote on the NDAA until after the Fourth of July holiday. The legislation would also need to pass the Senate, which is working on a defense authorization bill of its own. The House and Senate must pass identical bills before sending the legislation to the White House to be signed into law by the president. The Senate Armed Services Committee is not scheduled to hold its full markup of the NDAA until June 28. Current Air Force leadership opposes setting up a Space Corps. Appearing before the Senate Armed Services Committee in May, Chief of Staff Gen. David Goldfein said he believes the move would only cause confusion. In a statement sent to SpaceNews, Air Force Secretary Heather Wilson said the service is taking steps to bolster space operations. “I could not agree more that now is the time to address the threats our nation faces in space, which is why the Air Force has proposed a 20 percent increase in space funding in this year’s budget, and announced last week a reorganization that integrates, elevates and normalizes space,” the secretary said.